Paco Rabanne – one of my favourite brands here at Scentstore. This perfume house always gets it right when it comes to fragrances, whether it’s mens or ladies. With ‘Lady Million‘ and ‘1 Million‘, being the most popular fragrances which launched several years ago and still going strong. Last year we saw the launch of ‘Pure XS‘, a much more fresher combination of spices than the other mens Paco Rabanne fragrances which does make it perfect for all year round. A year later, we see the launch of ‘Pure XS For Her‘, and I have to say, as a big Paco Rabanne fan, I was most excited when i saw this being released. 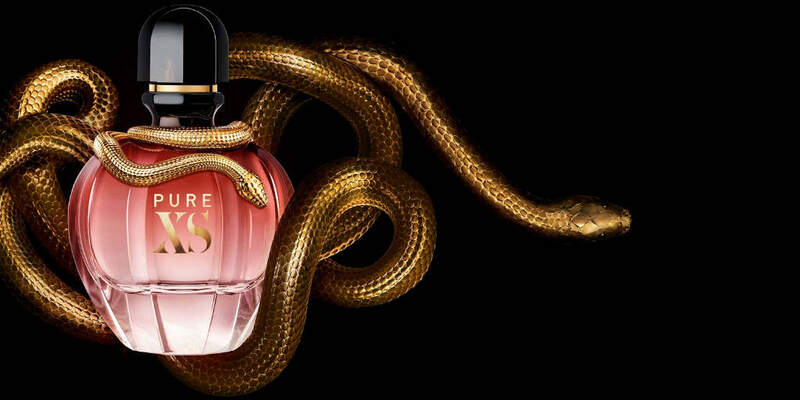 Now I do like the bottle, but maybe without the gold snake wrapped around it, I’m not really the biggest animal fan. Though the bottle does resemble the shape of ‘Black XS For Her‘ perfume, which is one of my favourites from the brand. 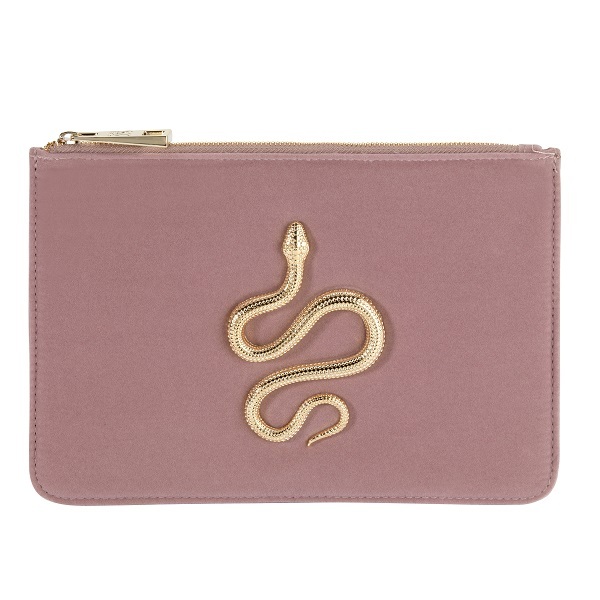 An ombre style of powder pink shades, with sharper edges, while the outer packaging is made of a velvety pink finish and gold coloured details. Its not always about the bottle, as beautiful as some of them are, to me its more of the smell, and if i’d like to smell like that fragrance. On my first sniff of ‘Pure XS For Her’ my first thought was POPCORN. That delicious salty sweet popcorn note is what makes me love this fragrance. In my opinion its an ingredient thats so unusual to put in a fragrance but i think it really works well along side the vanilla. Others notes include ylang-ylang, sandalwood and ambrette seed, which appears more in the dry down of this fragrance. This perfume has been one of the most popular women’s fragrances over the festive period and is available to buy as an Eau de Parfum in a 30ml, 50ml or 80ml size in store or online and whilst stocks last there is a FREE velvet make up pouch with purchases of the 50ml & 8oml Eau de Parfum.